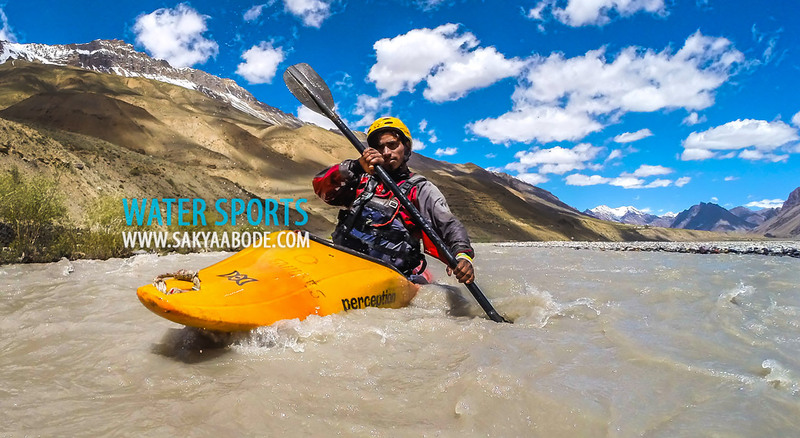 The beautiful Spiti river provides a wonderful resource for water sports – from kayaking to rafting – and the Sakya team has the knowledge and experience to provide you with all of these opportunities. Rafting trips are one or two day adventures – and includes food and transport to your start/finish locations. Kayaking trips can be arranged on request, and tailored to your specifications. We are the only organization in Spiti with a government approved water sport license. For your safety we follow international safety guidelines. We provide sight seeing tours on Spiti river. For this we have two rafts that can accommodate six and eight people respectively. For added safety every raft is accompanied with one professional on a Kayak. Even though Spiti river has rapids of up to class 2 level, we have certified professionals who can glide easily on levels of upto class 5. Spiti river being a calm river, can be a good starting point for amateur water sport enthusiasts. Driving to Spiti in Winters? Copyright © 2015 Sakya Abode. All Rights Reserved.